The numbers might not always sound big at the end of month one, but WOW do they add up…yes, these are the tricks that can end up saving you hundreds—and even thousands—of dollars by the end of the year. These tricks are relatively easy and have measurable results. So keep on reading, because that’s pretty hard to beat! You’ve probably seen something about how that $6 coffee before work adds up over the year. The trouble is, ditching that daily bean requires major effort…and it requires that effort every single day. You have to tell yourself, “no,” and “no” again. You have to suffer. 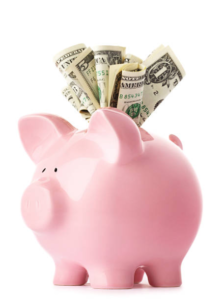 What if saving money in your home were easier than breaking that pricey habit? Keep on reading, because there ARE tricks out there to save you money “just like THAT” (you can hear those fingers snap). We’re talking about living with all the luxuries you’re use to. We are NOT talking about ditching your interior design and remodeling magazines or prepping yourself to say “no,” and “no” again. …What if there were even some tricks that help you save money by spending money you wanted to anyway? You can invest in your home or even upgrade something …and save money at the end of the year because of it. Some of these tricks are even easier than you would believe, and many don’t require a purchase or investment at all. Read on to see our 5 super-star tricks to save money at home, and start raking it in! Unplugging your devices at night—or, even better, whenever you’re not using them—is an easy way to save. 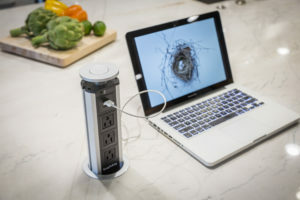 Not only does it cut down on your electricity consumption, but it saves your devices. Did you now that batteries are actually designed to “down-charge” and exhaust themselves before being plugged back in? Did you know that batteries actually go bad if they’re overcharged? The average homeowner has 24 consumer electronics, including those DVD players, multiple TVs, even microwaves and the rest. Making the habit to unplug when not in use can save between $100 and $300 a year in your electric bill, not to mention giving battery-holding devices a longer life. PRO TIP: Do you feel silly thinking about plugging and unplugging multiple devices all the time? Think about keeping electronics plugged into a power strip and then just flipping the switch on and off at night! Easy fix—and big savings. Low-flow faucets and water-saving toilets are all the rage abroad, and are finally starting to catch on in the U.S. Do you REALLY need to wash your dishes with fire-hydrant-strength water? Well…maybe after certain meals. But normally, no. Installing water-saving faucets around the home is no joking matter…it can actually save you up to 60% in water consumption. You can save the world AND your wallet! PRO TIP: Instead of new faucets, you can also look at faucet aerators, which run about $10-20 a pop. Call us if you want to learn more about how these work! And how about water-saving shower heads? Now you’re REALLY talking savings! In honor of upcoming summer temperatures, did you know that ONE THIRD of heating and cooling in homes is lost through drafty doors and windows? 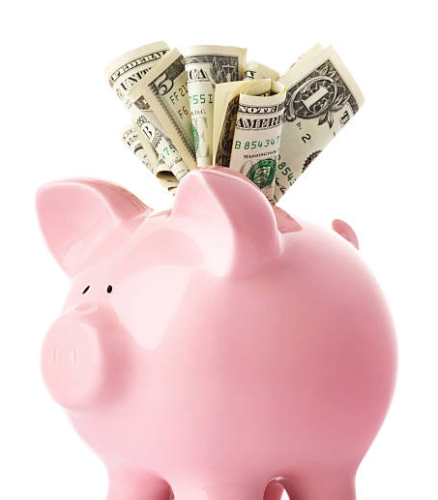 Seal everything up to save 15% on your central air costs this summer! Even the window shades you use can make a difference. There are caulk and sealant options, foamy covers for the attic, you name it…give us a call to talk about which solution is the fastest and easiest for you. PRO TIP: If you REALLY want to save on cooling this summer, using blinds or curtains to keep sun rays from heating a room can save up to 45% off your cooling bill! How cool is that?? There are some sweet deals out there, which is why we curated our own collection of partner deals in one place. If you’re really serious about adding something to your home, or checking a “to-do” off your list, there’s probably a discount to do it…Take a second before clicking buy to see what super deals and special offers you can get! …Wait, what’s that mean? A programmable thermostat? Yes—that means you can program a schedule for heating or cooling to keep your house comfy right when you need it and save money when you don’t. You can turn the central air off during the day, and have it kick automatically back on an hour before you come home so that you still get that cool waft when you walk through the door. Most of these programmable thermostats also have mobile apps and wifi connections so that you can adjust the program while you’re away. Did storms roll in? Maybe that high A/C doesn’t turn out to be needed one day? No problem. With a programmable thermostat, you can make tweaks whenever, wherever and save as much as $500 a year. These things are GREAT! How about cleaning out that lint trap?? You’d think this would be a natural now, but as many as 70% of households still don’t clean the lint trap out on their dryers. The better you are about this, the more you can boost laundry efficiency—even by as much as 75%.